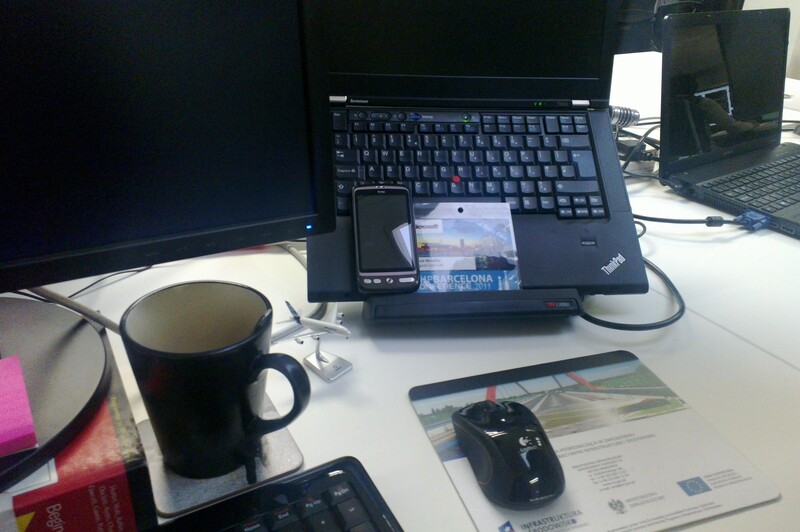 The Nokia N9 is a weird beast. 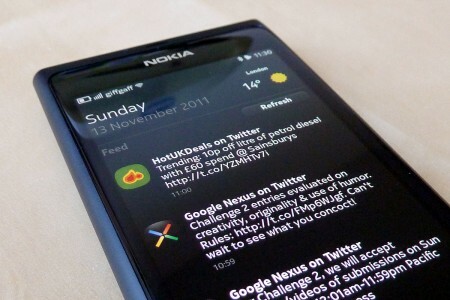 It runs the MeeGo Harmattan OS and has been released after a so-called elopocalypse when Nokia’s new CEO Stephen Elop controversially turned towards the Windows Phone platform, ditching both homegrown smartphone platforms – Symbian and Maemo/MeeGo – into gloom. The decision was apparently so sudden that Nokia took the quickest shortcut possible to deliver WP-powered handset to the market by pretty much throwing the ready-made Windows Phone OS into the Nokia N9, which at the time of announcement was in the works already. 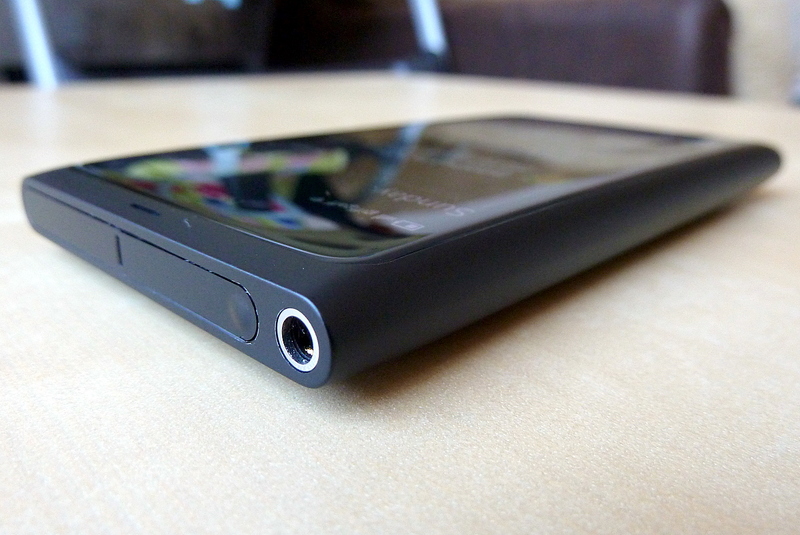 It merely revised the hardware and badged it as the Nokia Lumia 800. Yes, the very same one released in the UK last Wednesday. 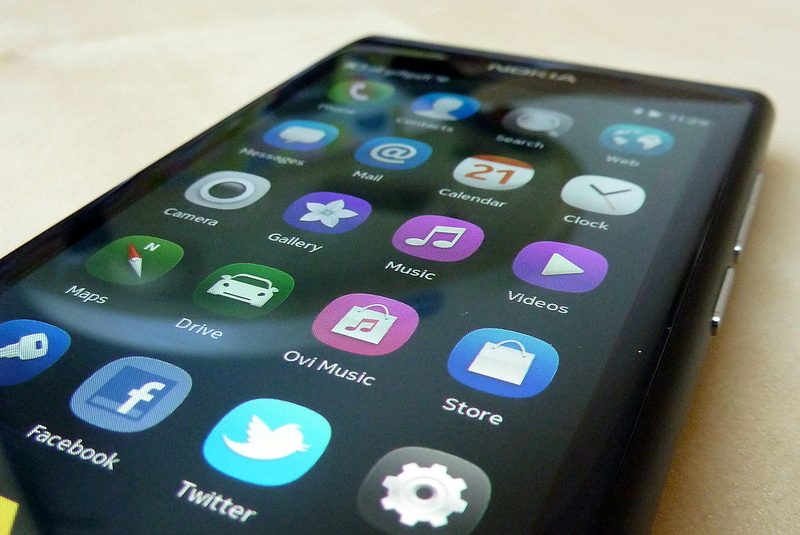 However difficult the Nokia N9’s birth to the world was, it managed to receive positive reviews from the mobile technology blogosphere around the world, which posed the question whether the pivotal turn in Nokia’s strategy was actually a good move? As a former user and fan of Maemo-powered devices, including the latest N900, and also being quite sceptical about Nokia-Microsoft partnership, I was particularly interested to see N9 myself. 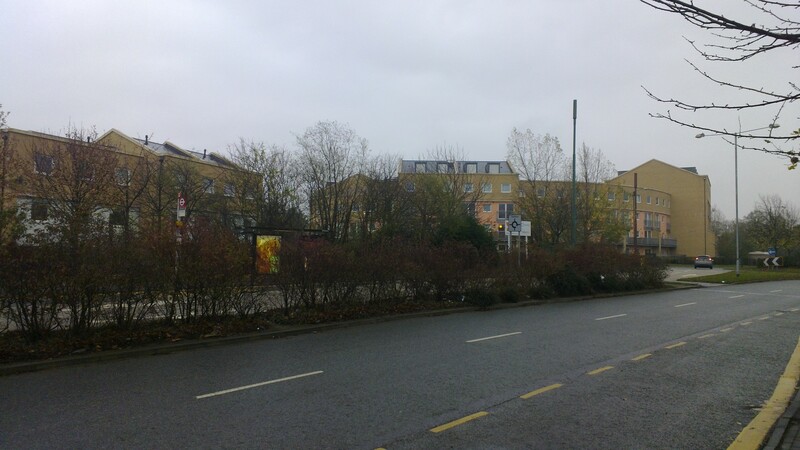 Finally, thanks to Nokia Connects I’ve had a chance to use N9 for the past couple of weeks and see how it performs in real life. Once the Nokia N9 is taken out of the box, it becomes clear that it is probably the most beautiful and visually sophisticated mobile phone Nokia has ever created. It has an excellent unibody shell, which is plastic all the way round yet doesn’t feel plastic at all. It’s very solid, robust and has a premium feel. Nokia designers and engineers did an absolutely top job here. However, the downside, or side-effect rather, of such design is the micro-USB port being hidden behind the somewhat fiddly flap at the top of the device. Thankfully that little flap is made of some sort of metal rather than plastic, so here’s hoping it will last quite a while. 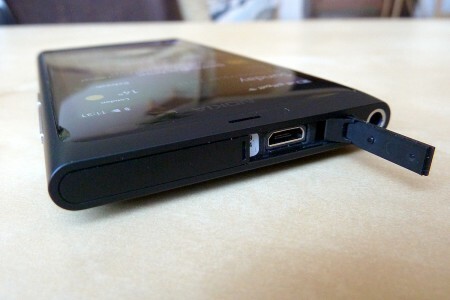 Another thing in the Nokia N9 to get seriously excited about is its display. ClearBlack AMOLED display. This isn’t particularly new in Nokia smartphones, however coupled with slightly curved Gorilla glass and anti-glare polarizer coating, the Nokia N9’s display is simply state of art. I can easily say that this is the most amazing display I’ve seen to date, period. Black is really black, I mean it is virtually impossible to distinguish the actual border between display and its bezel at the first glance. Colours are exceptionally vivid, brightness is excellent, viewing angles are fantastic and visibility in direct sunlight is spot-on too. Also while looking at the display from a really sharp angle, the impression is that icons are floating on top of the screen, like they were imprinted directly on the device rather than displayed. Absolutely stunning! 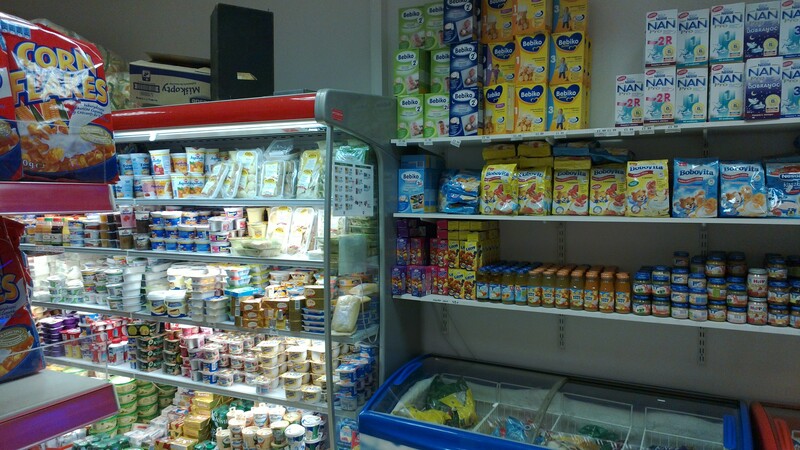 It has a beautiful outer design and a brilliant, eye-catching display. When coupled together it makes a superb overall impression and provides a top-notch, premium feeling. 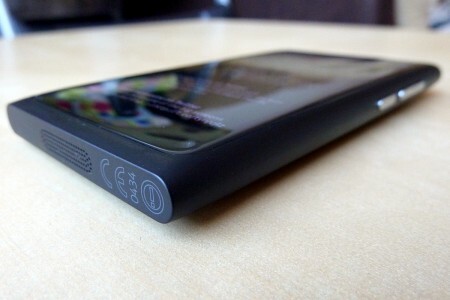 However, the Nokia N9 still has some impressive tricks up in its sleeve, namely one – the MeeGo Harmattan OS. 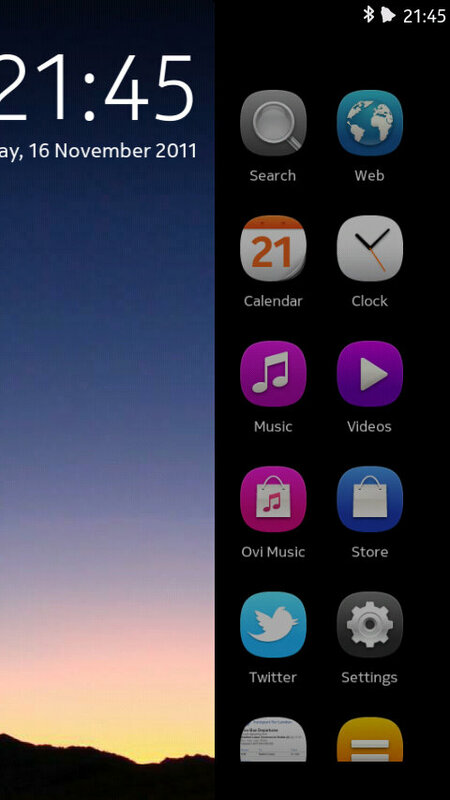 Once the Nokia N9 is switched on and booted, it suddenly becomes apparent that it has no control buttons at all. Sure, there are volume rocker and power/lock buttons on the side, but there’s nothing like common “home” or “back” buttons anywhere in the front. That’s exactly the main concept behind very unique and innovative Swipe UI – basically speaking, most UI interactions are a matter of a simple swipe on the screen, making such control buttons obsolete. 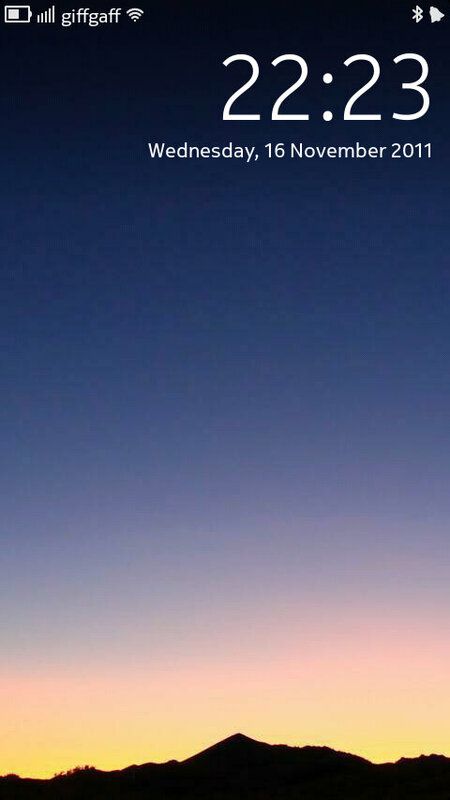 To get rid of a running application you just swipe it away with simple gesture to get yourself back to the main menu. No need to reach your finger out to the “back” button or anything like that anymore. That fresh approach might be a bit confusing at first, but it quickly becomes very natural, intuitive and just ingenious in its simplicity. Oh, and very addictive too, as I found myself subconciously swiping screens of other smartphones. 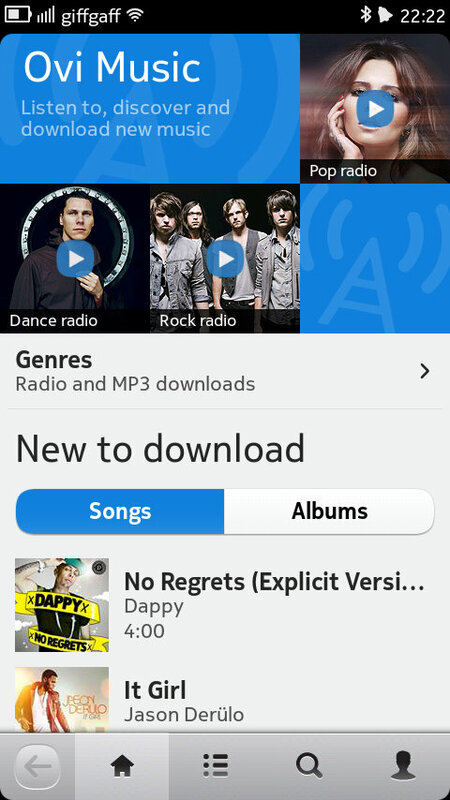 Another set of compliments has to go towards the N9’s UI as a whole. 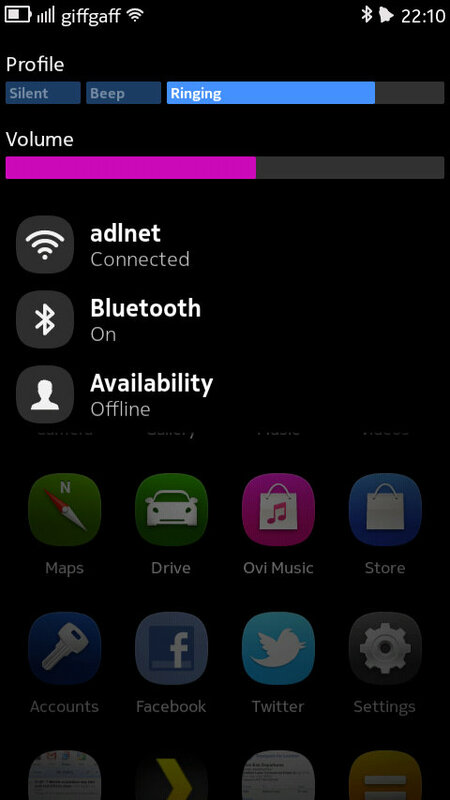 After a much-outdated and not-really-attractive-anymore Symbian followed by nice-but-not-quite-there-yet Maemo, Nokia has finally come up with a user interface that is very clean, consistent, aesthetic and just pleasant to work with. 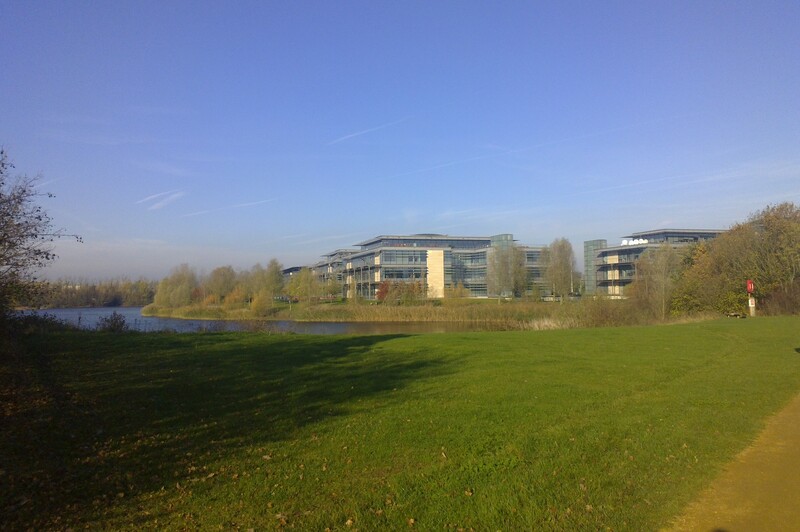 Nokia UX engineers did their homework right and built the whole experience from ground up, thankfully leaving all legacy stuff behind. 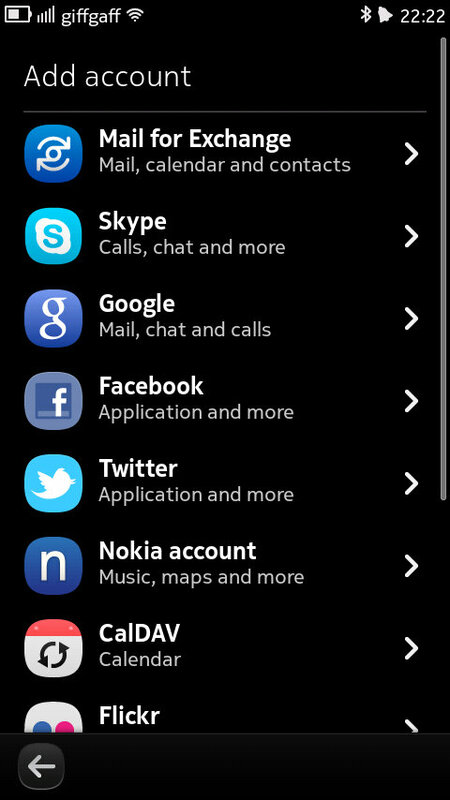 A new icon scheme, new Nokia Pure font, new interface of common applications like Phone, Contacts, Messages, Calendar, Music Player, Nokia Store etc. It all looks beautifully laid out and thought through in almost every detail. There is also plenty of hidden gems within the interface to look out for, for example a quick shortcuts option appearing in the bottom. 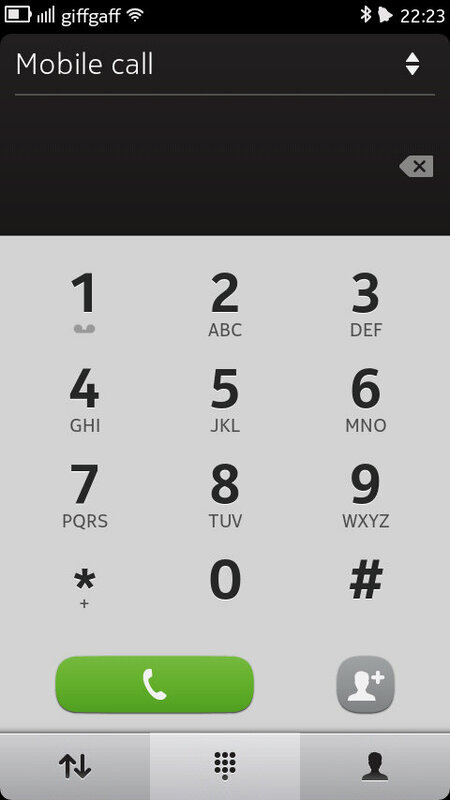 Or the nicely bouncing prompt for incoming calls, alarms or calendar reminders. There’s really a lot to like about the whole experience and to be honest, if it didn’t have Nokia logo I’d dare to say it’s anything but Nokia! Well done! It’s not all that perfect tough and there are some instances here and there which almost shout out “Hey, I’ve been made in a rush!”. The web browser is very basic in terms of configuration and customization – heck, it doesn’t even have proper bookmarking in place (sic!). 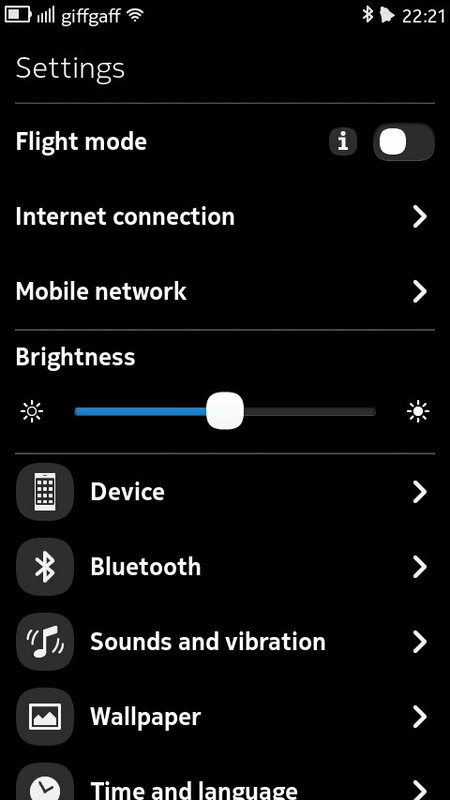 The settings menu structure is weirdly confusing in few places to say the least. 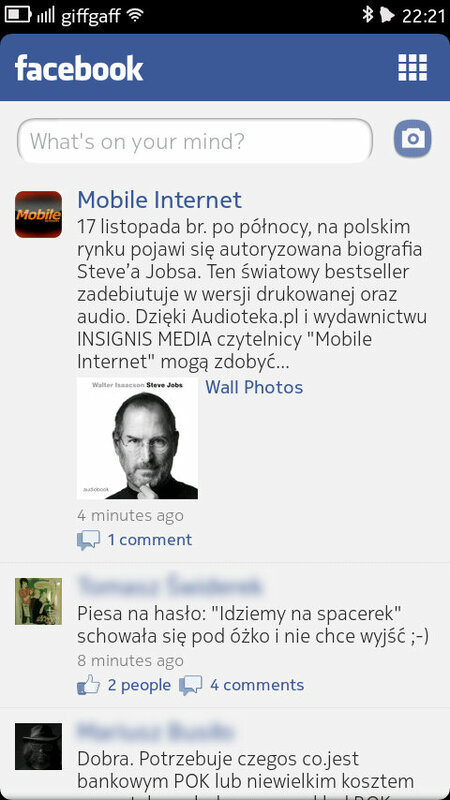 The non-English keyboard layout, Polish to be specific, is basically a bad joke. 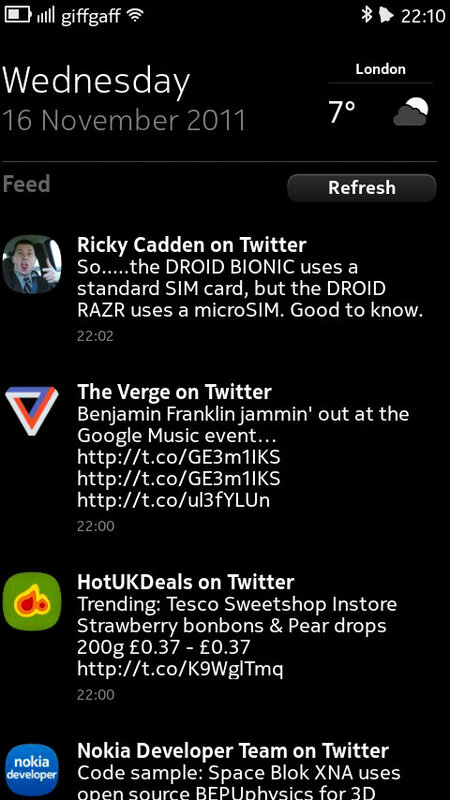 Nonetheless, all these little annoyances are pretty rare and on the whole N9’s user interface is absolutely great. 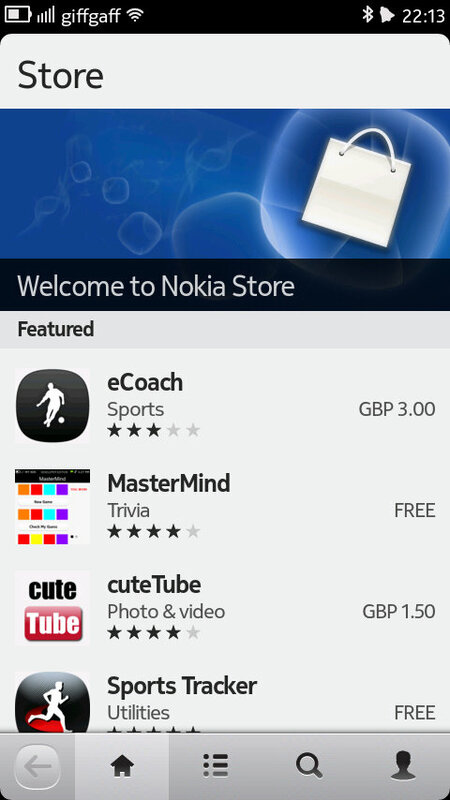 3rd party apps for the Nokia N9 are sourced via Nokia Store, formerly called Ovi Store. It’s definitely nice to see that the app Store finally works as it always should have. Quick, responsive and easy to navigate. Installing apps is also a breeze, a single click and it just gets downloaded – no nasty prompts to confirm security disclaimers that hardly anyone reads anyway. 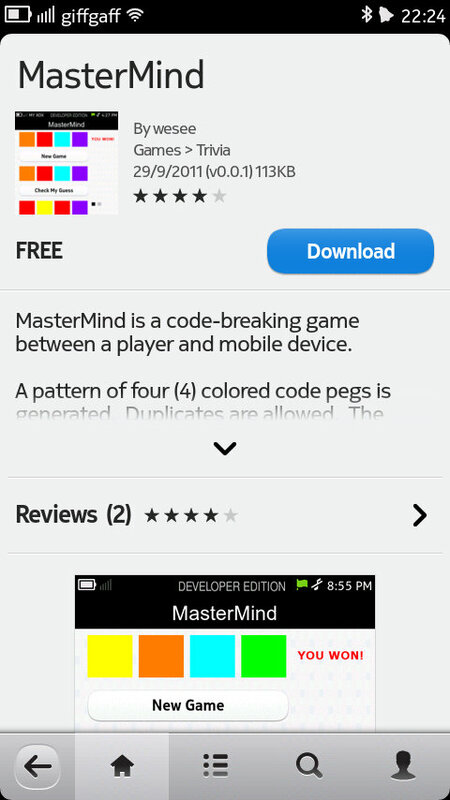 The flipside is that the selection of available apps is pretty limited and due to MeeGo’s fate, the choice of apps is not expected to rise in large volumes. 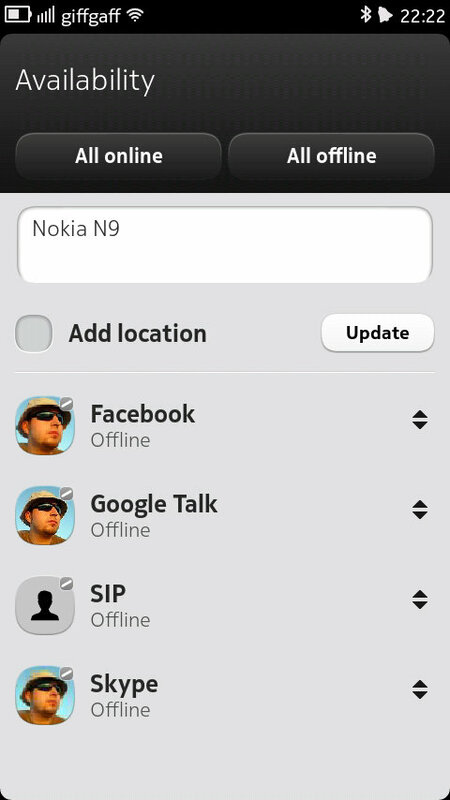 In terms of social networking and online presence support, the Nokia N9 also does very well. 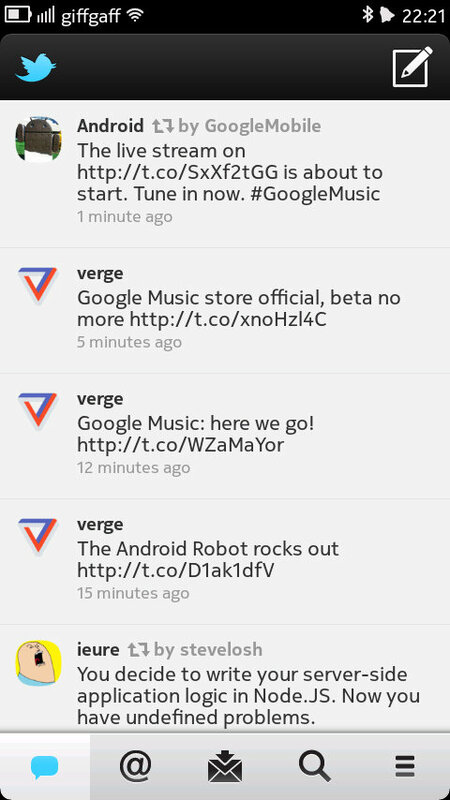 It has built-in Twitter and Facebook clients – both fairly basic but both working surprisingly well. 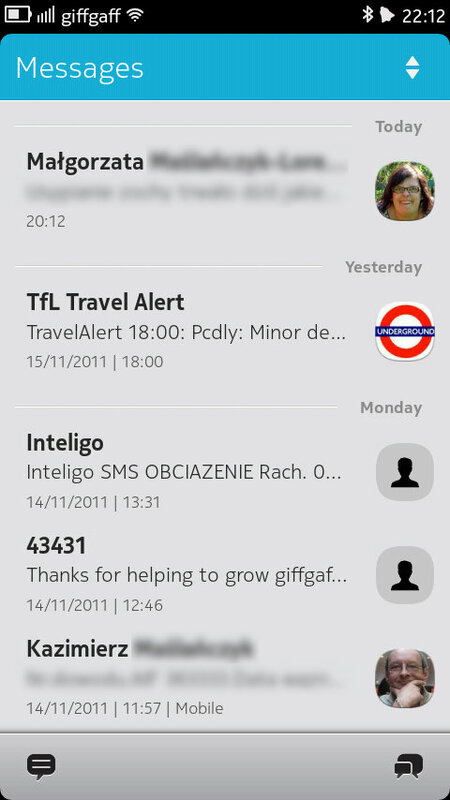 Former N900 users should be familiar with integrated instant messaging and seamless Skype and SIP support for VoIP calling – all of this is still in place, yet much better polished. For those unaware readers – basically, making or receiving VoIP calls is done in exactly same fashion as regular GSM voice calls, that means no 3rd party apps or other weird tricks are required and generally it is absolutely painless process. The web browser generally worked well. Most of the websites I use on daily basis loaded quickly, rendered nicely and the. UI is pretty responsive all around. However, as I mentioned earlier, the browser app on the whole is way too basic for my taste. The only option to store a bookmark for a given webpage was to create a shortcut directly in the main launcher between all the other app icons, as there’s nothing like a bookmark organiser at all. Anyone thinking it’s one of these must-have features of virtually every web browser? Well, think again. Oh, and it doesn’t support Flash, but that’s probably not a big deal since Flash is being phased out in favour of HTML5 anyway. The Email client is again rather basic but works quite well. I particularly liked the idea of integrated mailbox where I can place favourite IMAP folders as well as separate email accounts, all in same place for quick access. Something I haven’t seen in any other device before. 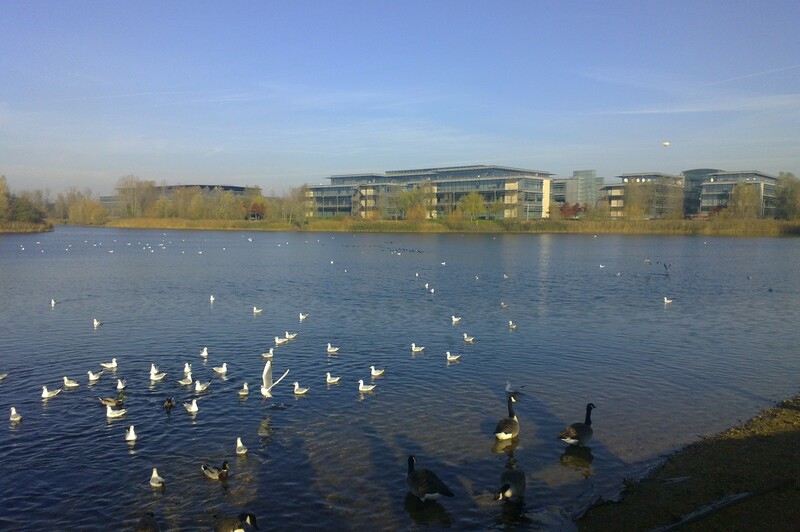 The N9’s camera is good but not hugely impressive. It definitely struggles in low-light conditions leaving lots of noise in photographs and videos, however it’s still a very good 8megapixel shooter and 720p camcorder otherwise. I definitely like its speediness and continuous auto-focus in video mode, however I don’t like lack of a dedicated camera shutter button and the touch-to-focus feature wasn’t always working the way I wanted. The battery life, as expected, isn’t by any means impressive. I reckon it’s still much better than it was in Nokia N900 and a bit better than it is in HTC Desire Z, yet it definitely needs a daily (or nightly, rather) recharge after a day involving always-on 3G connection, Mail for Exchange and Twitter sync, some web browsing, a few texts and calls in/out. 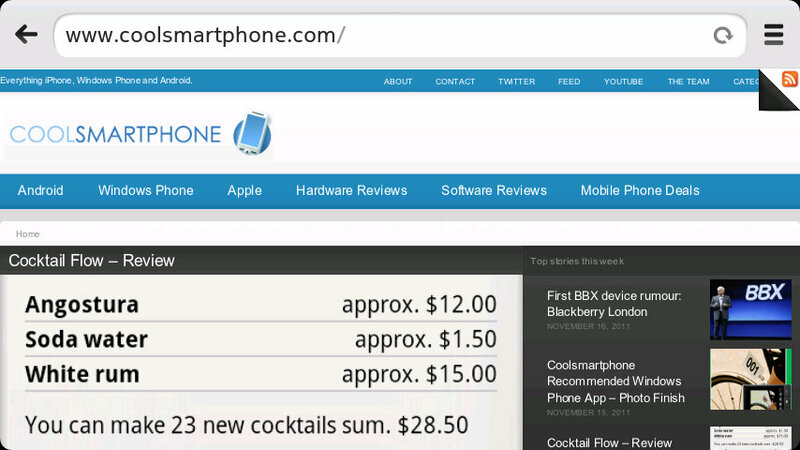 Pretty standard smartphone stuff, really, and the battery doesn’t particularly stand out or lags behind competition. I’m a huge fan of mobiles featuring a physical QWERTY keyboard. 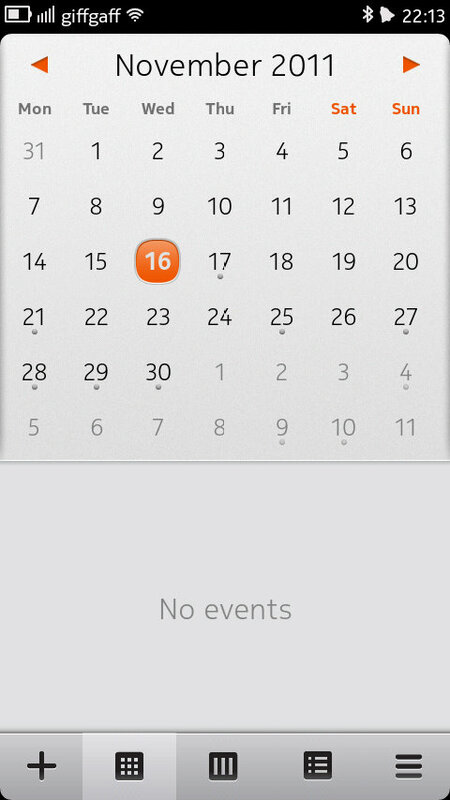 I also love customizable homescreens with a decent calendar widget taking prime spot. My daily workhorse currently is the HTC Desire Z and it excels in both these areas, but the Nokia N9 doesn’t provide either. 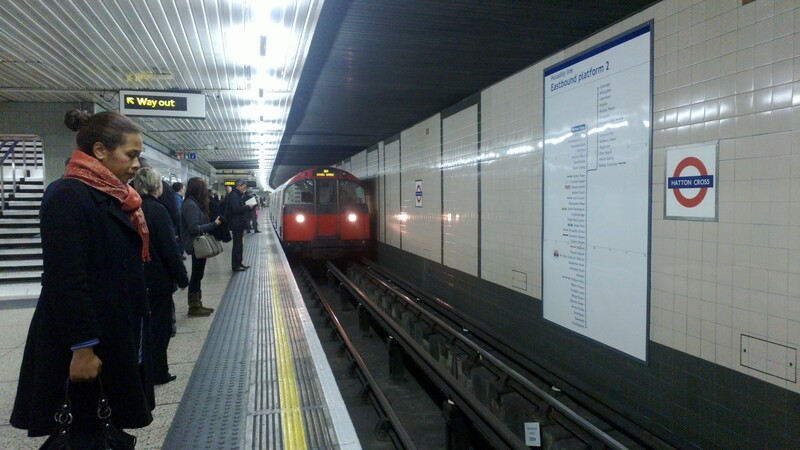 However, the N9 has unquestionable charm – it looks beautiful, it has breathtaking display, the user interface is unique and compelling, it’s simply a stunning smartphone and suddenly makes my HTC and Android look plain, boring and somewhat dated. I’ve used it as my default mobile phone for nearly two weeks and found that I could ultimately live with on-screen keyboard (with Swype that is) and I didn’t miss my calendar widget that much either. There were also few essential apps from Android I really missed, but I guess I’d found a way around those too. Seriously, the Nokia N9 is the very first all-touchy, non-qwerty mobile phone that I actually considered to become my default daily device and I really regret having to return my review unit. Sadly, the problem is that Nokia N9 and its platform has no future. Sure, it will receive occasional firmware updates, have bugs fixed and minor features added. 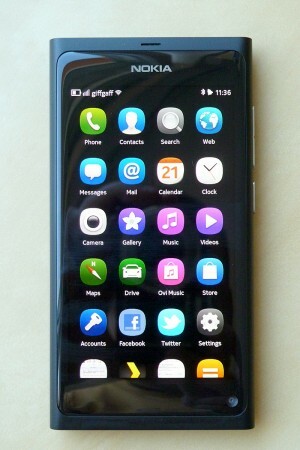 But the point is that Nokia N9 was the first and the last device running MeeGo. That certainly won’t help growing selection of apps in Nokia Store which seems to be very important factor in mobile “ecosystems” nowadays. 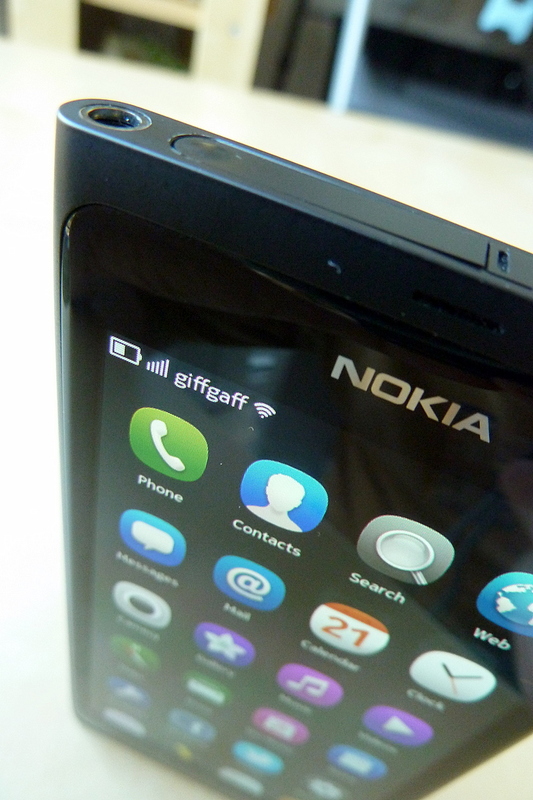 Moreoever, Nokia itself is taking serious measures to make sure N9 won’t become accidentally successful – limited availability in key markets, pretty steep price point for SIM-free unit, virtually no advertising compared to WP7-powered counterparts etc. It’s a damn good smartphone and I heartily recommend it to anyone who has spare cash and doesn’t really care about apps, ecosystems, platforms and such. 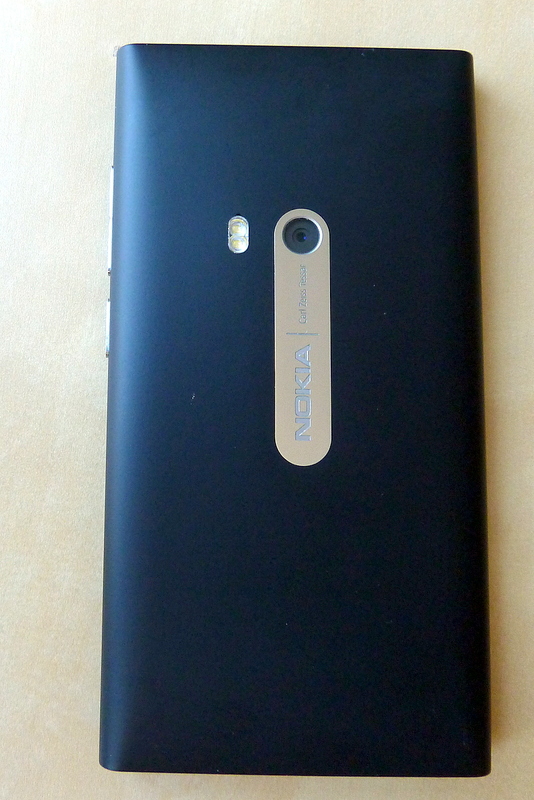 Nonetheless, N9 and MeeGo are doomed in long run, and there’s nothing to save it from WP7 wave anytime soon. But hey, it’s not all that bad – at least Nokia has proved to the world they are actually capable to create something fresh, innovative and… disruptive. Shame it was just about a year late.